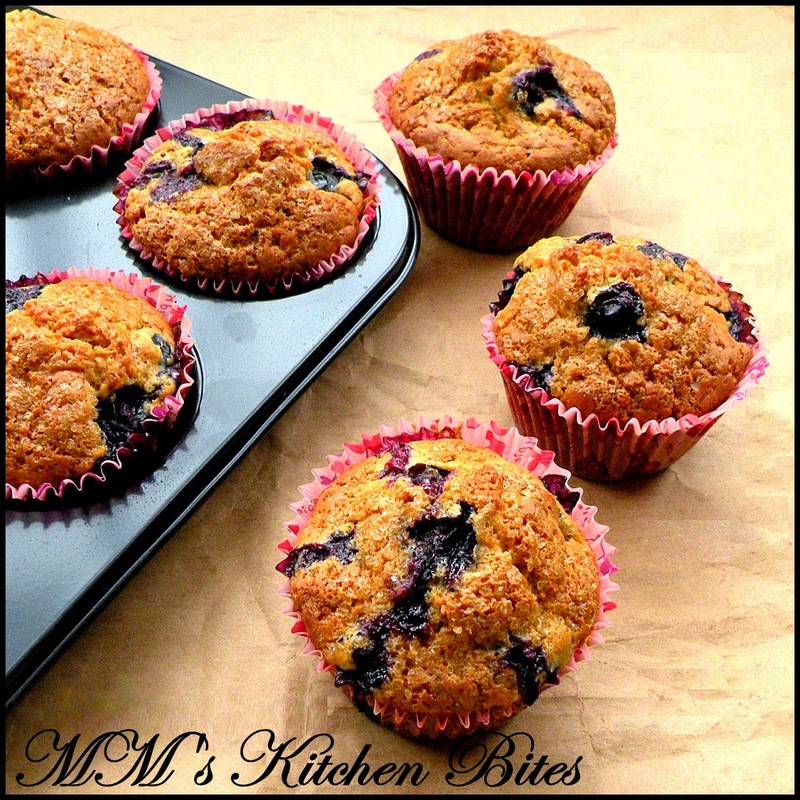 MM's Kitchen Bites: Buttermilk Blueberry Muffins...the day after!! Optional Step: If using fresh berries, take a handful and keep in the freezer a couple of hours before starting. If starting from frozen, just keep a handful back in the freezer till ready to use. Butter the muffin tray and line with paper liners. In a large bowl, sieve in the flour, baking soda, baking powder, sugar, salt and zest. Gently fold in the blueberries (if using all frozen, be extra gentle). In a separate bowl, whisk together the egg, buttermilk, oil and vanilla extract. Stir only till the ingredients are combined – overzealous mixing will result in tough muffins and you don’t want that (and hence muffins recipes are perfect for lazy cooks like me). 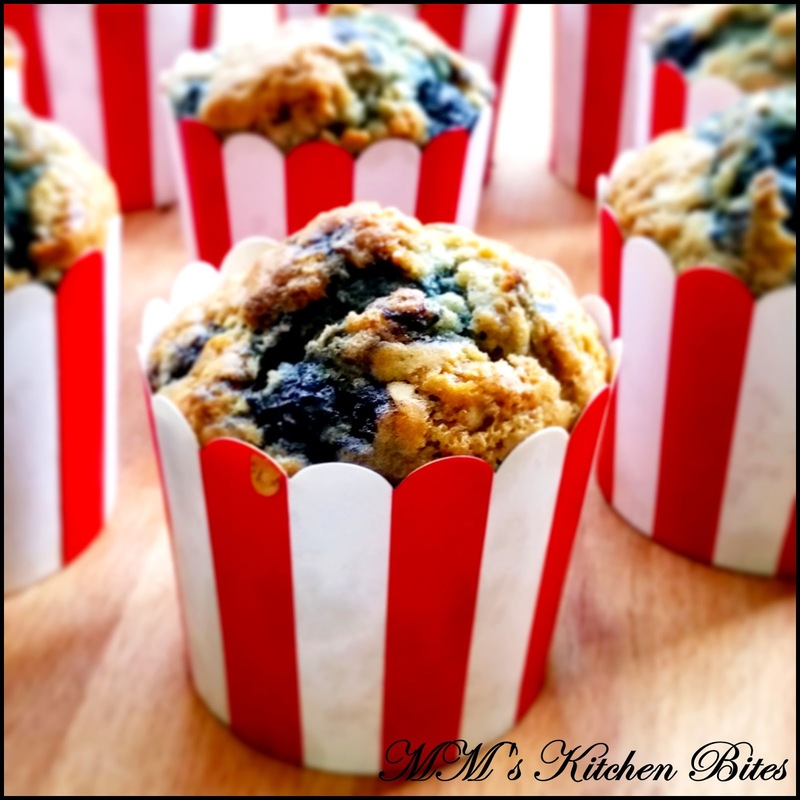 Using an ice cream scoop or two table spoons, evenly fill in the muffin cups with the batter – till about ¾ full. Take out the berries kept aside in the freezer. Dust with a teaspoon of flour and top the prepared muffins. Sprinkle the granulated sugar on top of every muffin. Transfer to a wire rack and let cool for about 10 minutes before removing from the muffin tray. 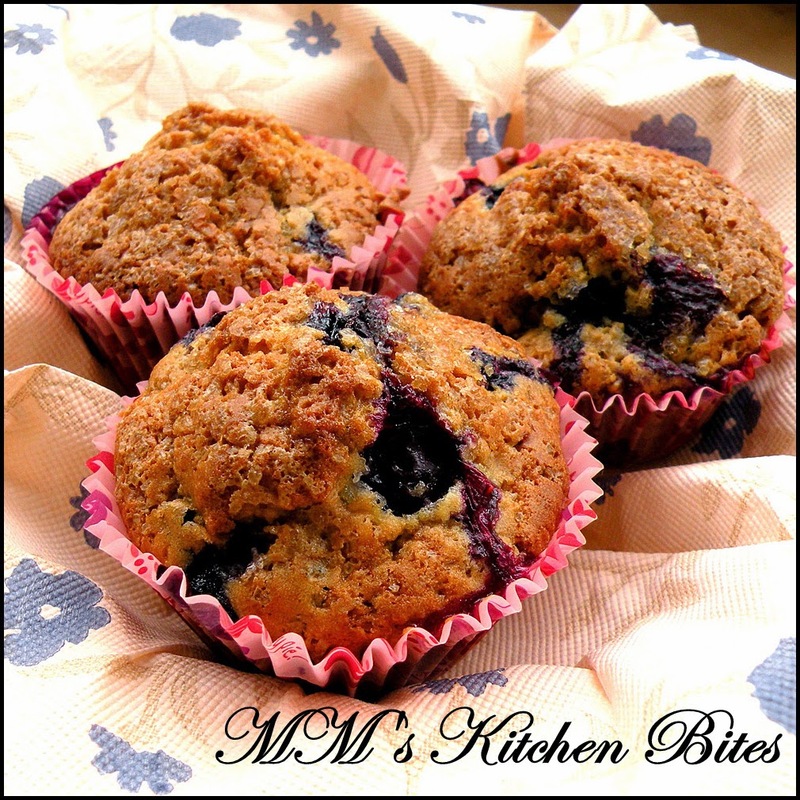 When using frozen berries, I reduce the flour quantity to 275 gms and add 50 gms of oats to the dry ingredients. Oats help absorb extra moisture released by the frozen berries. The baking times also increases by about 8-10 minutes...in my oven it takes about 29 minutes.